Don’t be deceived by the brusque waiters, graffiti on the walls and rickety old tables and chairs. 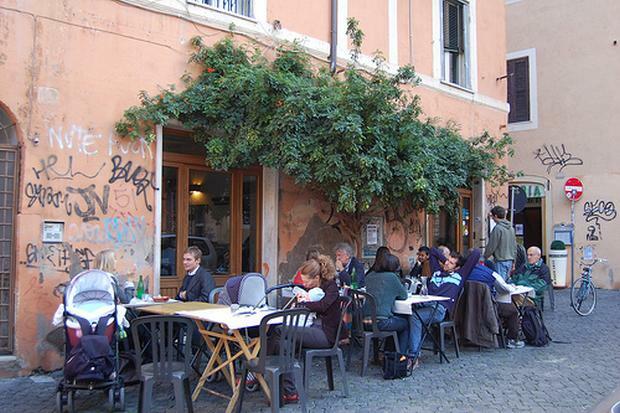 D’Augusto is one of those legendary restaurants in Rome that is loaded with character and known for its simple, delicious dishes and casual, lively atmosphere. 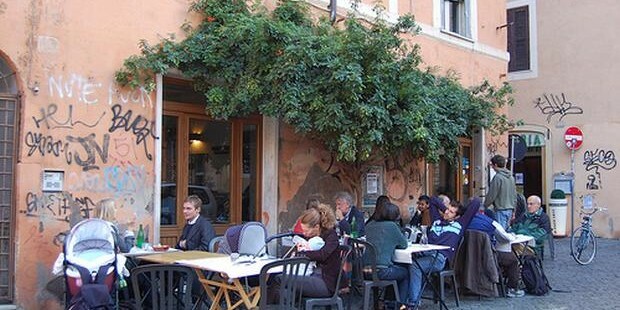 Located in the popular neighbourhood of Trastevere in Piazza de’Renzi, D’Augusto is one of those small, hole-in-the-wall restaurants in Rome that at first glance might have you walking right on by. 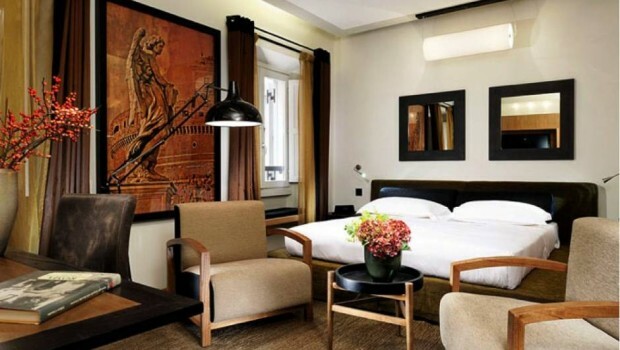 But it is one of the best places to eat in the eternal city according to locals and tourists alike. 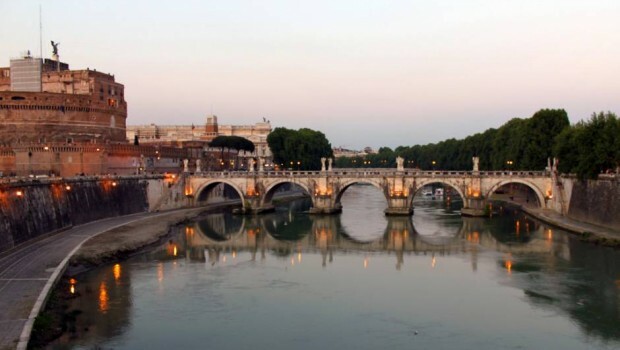 D’Augusto serves authentic Roman cuisine, traditional starters, pastas and meat dishes. Highly recommended are the rigatoni all’Amatriciana (Rigatoni with Pancetta), stracciatella (egg-drop soup), roasted potatoes and roast pork. Meals are inexpensive at around 5 – 8 euro and desserts at 3 – 4 euro. “Delicious homemade dishes, a unique casual dining experience, with no nonsense service. Was worth waiting in the rain for the amazing ravioli and beautiful pine nut sponge cake layered with thick pastry cream.”- Charlotte Wray, Irish Traveller.